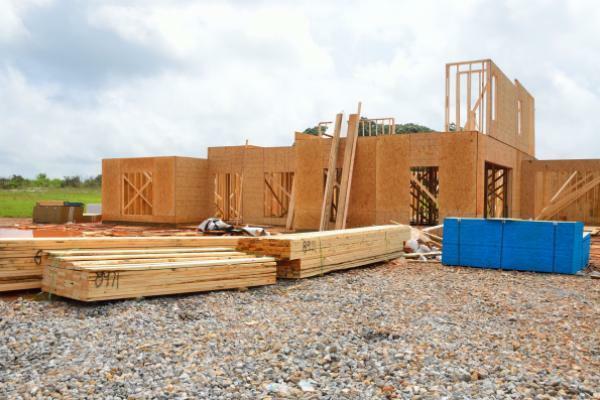 The end of February will be a busy period for homebuilder investors given a number of forthcoming economic releases and earnings reports. The following is what investors need to know, according to Wedbush's Jay McCanless. December 2018 Housing Starts (Feb. 26): Consensus estimates calls for a seasonally adjusted annual rate of 1.245 million starts, which is up 3.2 percent over November's data. January 2019 Pending Home Sales (Feb. 27): Consensus estimates calls for a 1.9-percent decline from December. Fourth Quarter Home Ownership Report (Feb. 28): Quarterly data on total households will be released. Feb. 26: TRI Pointe Group Inc (NYSE: TPH) is expected to earn 65 cents per share on revenue of $1.1 billion on flat prices and lower volumes. Feb. 26: LGI Homes Inc (NASDAQ: LGIH) is expected to show EPS of $1.59 on revenue of $418 million. Both Wedbush estimates are short of consensus forecasts of $1.75 per share and $429.5 million. Feb. 26: Toll Brothers Inc (NYSE: TOL) is expected to show EPS of 63 cents and revenue that's up 7.1 percent from last year to $1.26 billion from higher prices and higher closing volumes. Feb. 28: BMC Stock Holdings Inc (NASDAQ: BCMH) is expected to show adjusted AEBITDA of $49.1 million on revenue of $866.1 million versus consensus estimate of $49 million and $855.1 million. Feb. 28: Builders FirstSource, Inc. (NASDAQ: BLDR) is expected to show AEBITDA of $121.1 million on $1.96 billion in sales versus consensus estimate of $118 million and $1.86 billion. McCanless downgraded both Lennar Corporation (NYSE: LEN) and D. R. Horton Inc (NYSE: DHI) from Outperform to Neutral as both stocks hit the research firm's price targets of $50 and $41, respectively. The analyst says he continues to hold a "cautiously optimistic" outlook on new home demand but a slow start to the spring season and affordability issues should prompt investors to take profits. The research firm recommends three Outperform-rated names, including: 1) Beazer Homes USA, Inc. (NYSE: BZH), 2) BMC Holdings, or Builders FirstSource.